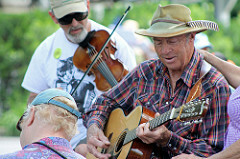 Get Your Summer Fiddle Jam Tunes…..Free and Easy! There is a common problem amongst fiddlers, and it tends to rear its ugly head at jam sessions. How many jams have you attended where you spent more time sitting on your thumbs than PLAYING? And we all know the feeling of sitting there patiently waiting as the everyone takes a turn choosing a tune so you can FINALLY play a tune you know! It’s a common problem. I’ve experienced it many times, and it’s no fun. The solution is obvious: we have to grow our repertoire….but that’s easier said than done. 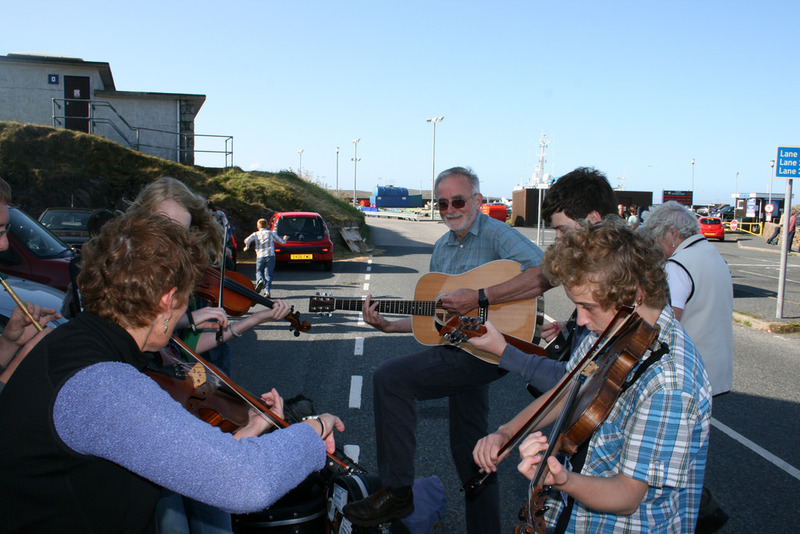 Even if we learn 10 new songs, it’s only a drop in the bucket out of the thousands of fiddle tunes that might get selected at a jam session! The better solution is to grow your repertoire in a targeted way, by focusing on tunes with a higher probability of being chosen at a jam session. I created a very quick and basic tutorial for each of these 10 tunes, including a slow-ish and fast-ish video showing close-up of my left hand and also showing my bow, sheet music with guitar chords, and sheet music with TABLATURE fingerings, which will be very helpful for those who don’t read music at all. And now for a limited time (until May 31 at midnight) you can get this entire compilation free with the purchase of ANY Red Desert Violin or Fiddle online class. So if you have been wanting to grow your repertoire, start now, and get some of Red Desert’s awesome instruction while you are at it! Want to know the 10 tunes? Don’t delay! This is the first and only offer of its kind, and this 10-Tune compilation is available exclusively for those who sign up for a class BEFORE May 31 at midnight! Skip all the tedious homework and get started growing your TARGETED repertoire today! Want more helpful information on Growing Your Repertoire? Click here and submit your email address, and help will be on its way!